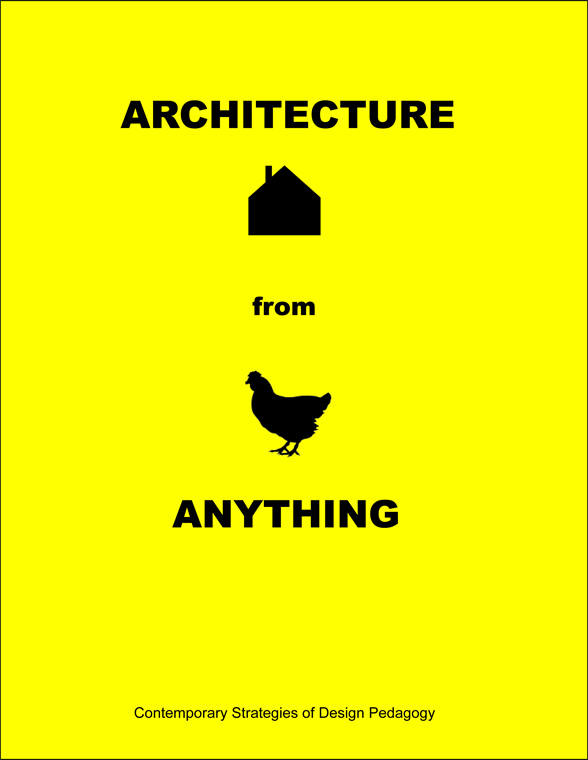 Bradley Horn, Architecture from Anything, book cover, 2012, New York. Courtesy of the author. For most of the history of architectural education, students learned to design buildings by studying other buildings. In the immediate aftermath of the political unrest of the late sixties however, as the legitimacy of both the architectural profession and educational institutions was being questioned, a small number of educators began venturing outside the discipline for new frames of reference for teaching design. Over the past several decades the advance of digital technology and far-reaching environmental and socioeconomic change have driven educators even further afield in search of direction. Today, the design studio has become a rich and diverse platform where teachers and students formulate responses to some of today's most challenging issues and defend unique visions of our collective future. Educating the New Architect tracks the evolution of these changes and assesses their wider implications through an examination of the diverse array of pedagogical approaches being practiced today internationally. Bradley Horn received his BArch from the Cooper Union, his MArch from Columbia University, and is a partner in the design firm Berman Horn Studio in New York. Horn has taught design at the Cooper Union, Harvard University, Columbia University, and Pratt Institute, and is currently director of the Master of Architecture Program at the City College of New York's Bernard and Anne Spitzer School of Architecture. Horn's writing and design work has been published in journals including Architectural Record, 3: Lux Letters, the Architect's Newspaper, Frieze Magazine, Future Feeder, the AN Blog, the New York Times, Interior Design Magazine, and Architectural Digest, and in books including Taschen's New York, Research & Design, Autogenic Structures, and Ineffable: Architecture, Computation, and the Inexpressible.